Actually, yes, it was Ken Burns. He and his team were in Rochester to capture the event on Tuesday, Oct. 18. In fact, they’ve been quietly working their way around Mayo over the past year or so for a documentary about ours truly. 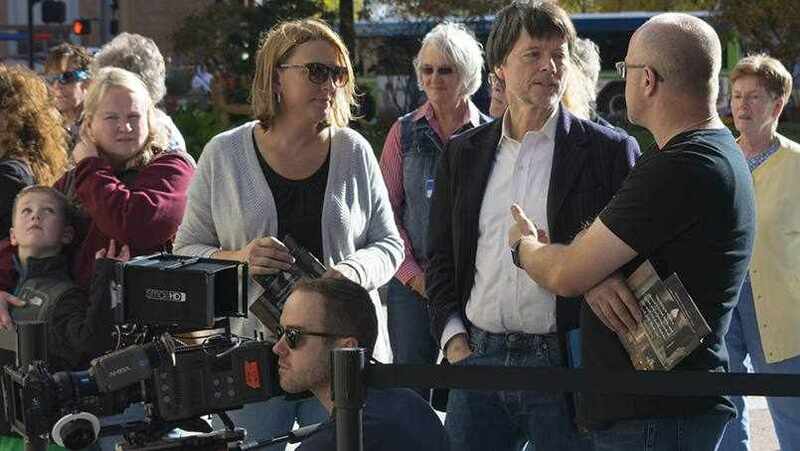 They’ve been talking with Mayo Clinic leaders, historians, staff and patients, and will be filming for another 10 to 12 months, for a motion picture about Mayo Clinic that will premier (knock on wood) in the fall of 2018. In fact, this past summer, Burns, who is executive producer of the film, and his hand-picked crew from Ewers Brothers Productions spent some time with Sister Generose. We assume that was something of an education about Mayo’s historical ties with the Sisters of Saint Francis, and they surely got schooled in the values that have guided Mayo Clinic since its earliest days.